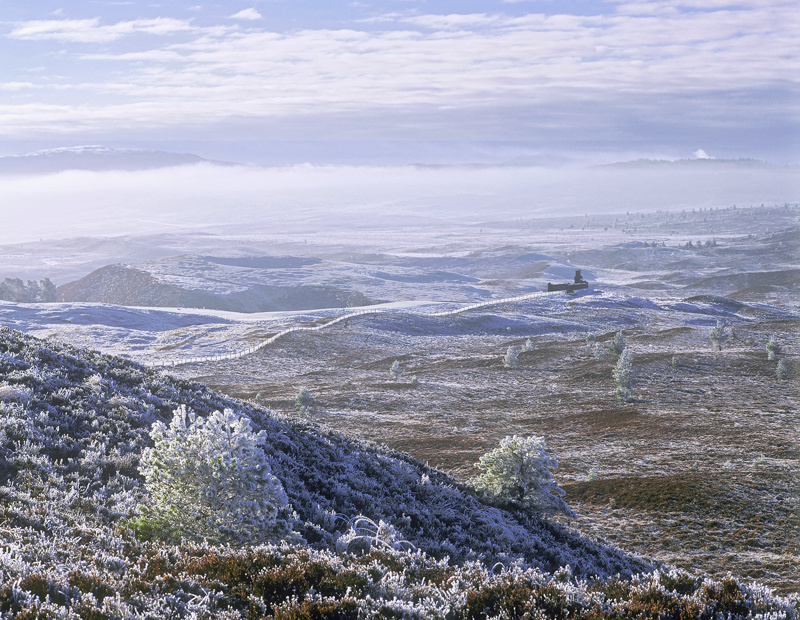 Winter Mist Dava Dava Moor, Moray, Scotland. From this lofty viewpoint off the B road that crosses the Dava Moor you can see across most of the moor towards Carr Bridge and the distant Cairngorms though some of the features like the abandoned bothy blend and merge with the heather becoming invisible. On this occasion the white frost and thin mist reveal the old bothy in its expansive landscape.